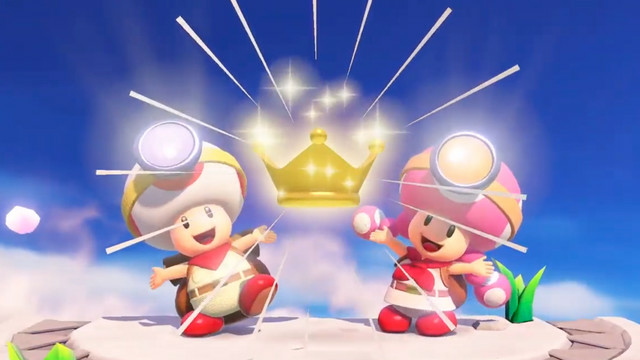 Nintendo has announced that a free update to Captain Toad: Treasure Tracker on Nintendo Switch will add cooperative multiplayer support to all the existing levels. The free update will be available later today. Nintendo will also be releases 18 new challenges across five new courses as part of a paid update to the game. You’ll be able to explore sunken ships and a kingdom of sweets in the new content. Existing courses in the game will also be given a new objective: finding a golden crown, giving you an excuse to go back and replay the original levels. The special episode will also be available for purchase on the eShop later today, along with a new bundle that comes with the original game and the new content for players who have yet to try Captain Toad. But purchasing the special episode today will only give you access to one of the courses, with the rest of the content coming on March 14.